In the run up to the Geneva motor show, hype is growing around Aston Martin Vulcan. The Vulcan will not be road legal but will be the most extreme Aston Martin ever made that is available to the general public and initial images show the biggest rear spoiler we have ever seen! According to the Aston Martin website production is to be limited to just 24 models powered by a V12 engine even more powerful than that of the One-77 producing over 800BHP! It will be made completely of carbon fibre. 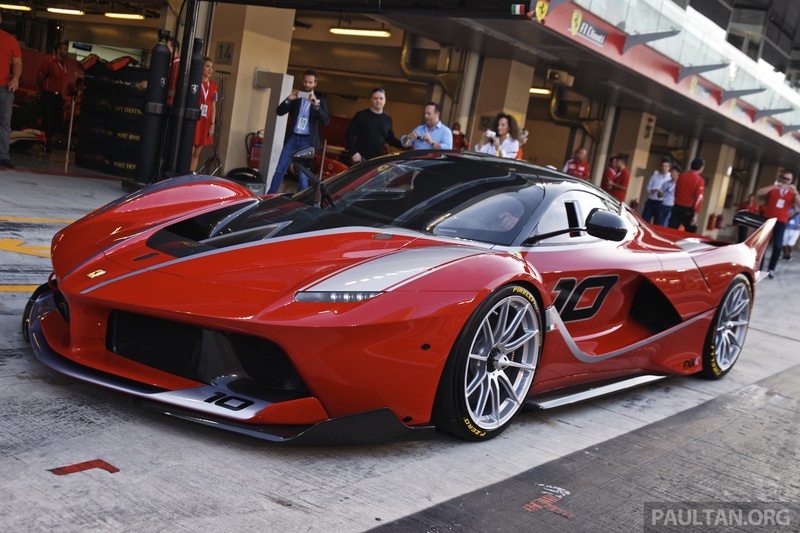 The only comparison to the Vulcan is the Ferrari's FXX K which can only be used on select track events (pictured below). Aston Martin are set to announce the future direction of their brand at the Geneva motor show in March including a potential SUV car following the rumours that Bentley and Rolls Royce will announce SUV models this year. Also, it is predicted that they will switch from the big 6.0L V12's to the AMG 4.0 Twin Turbo found in the new Mercedes AMG GT. So could the Vulcan be one of the last 6.0 V12's ever produced by Aston Martin?